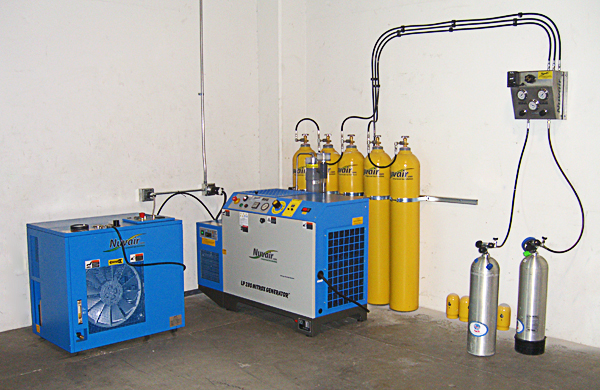 If you operate a dive shop, you may already own a high-pressure compressor. You might also be partial-pressure blending nitrox for your customers. If you are thinking about streamlining operations, Nuvair can help. We can integrate our patented membrane system into your existing compressors to safely and economically produce an unlimited supply of nitrox. No more dealing with the cost and hassles of handling large oxygen tanks or the issues surrounding oxygen cleaning! We offer four turnkey breathing air/nitrox scuba packages specifically configured for dive shops. 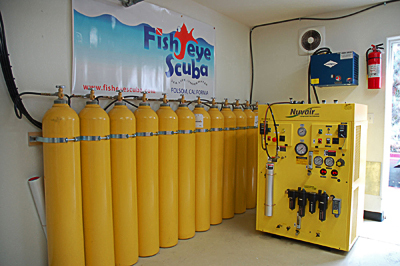 If you operate a dive shop, you may own a high-pressure compressor already. You might also be partial-pressure blending nitrox for your customers. If you are thinking about streamlining operations, Nuvair can help. We can integrate our patented membrane system into your existing compressors to safely and economically produce an unlimited supply of nitrox. No more dealing with the cost and hassles of handling large oxygen tanks or the issues surrounding oxygen cleaning! 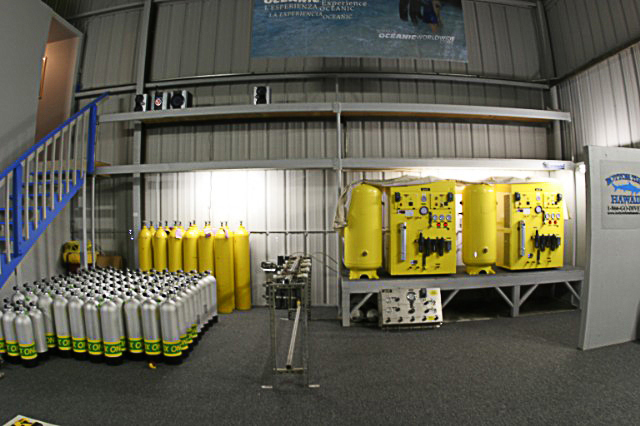 Below are photos of previous dive shop installations. On the following page, we offer four turnkey breathing air/nitrox scuba packages specifically configured for dive shops. If you are looking for something different or just need a nitrox generator to convert your dive shop air compressor to a nitrox generating system, send us an email and we will work with you to fulfill your compressed breathing gas needs. If you are looking for paintball packages, please click here.